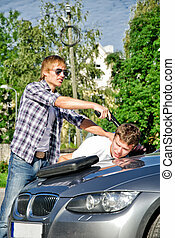 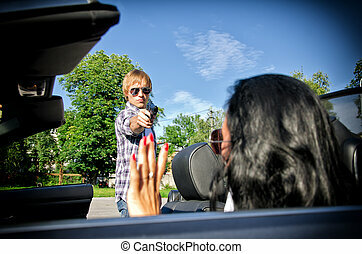 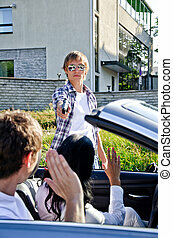 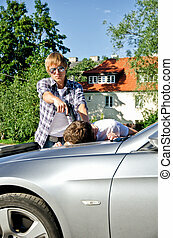 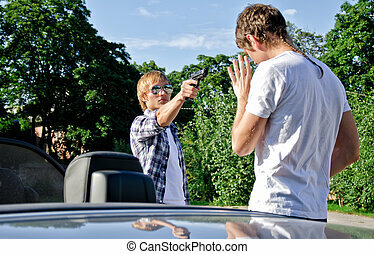 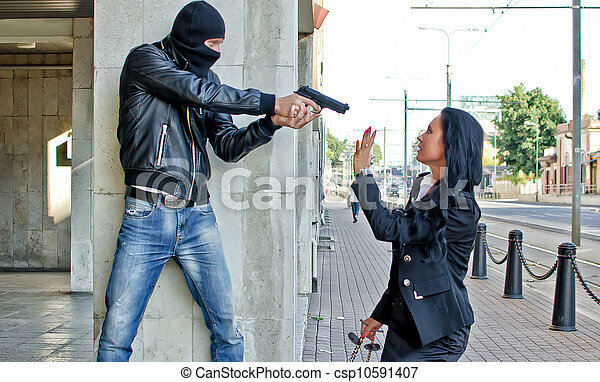 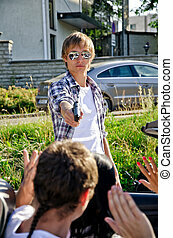 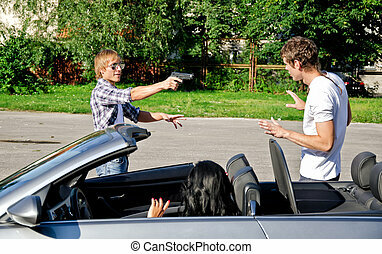 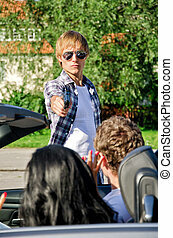 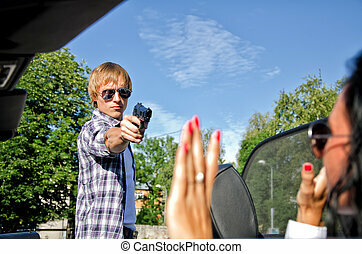 Bandit with a gun threatening young woman in the street. 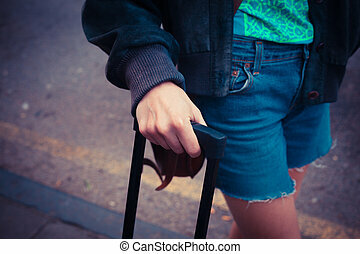 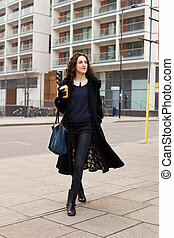 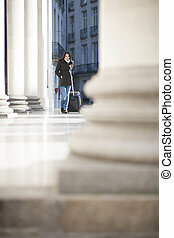 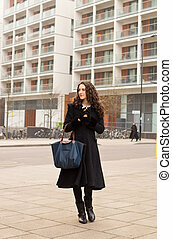 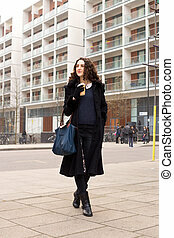 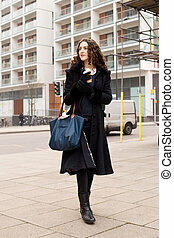 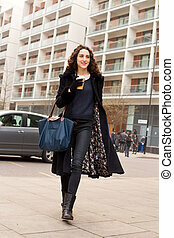 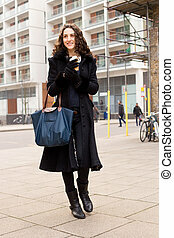 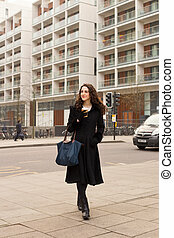 young woman with a suitcase walking in the street. 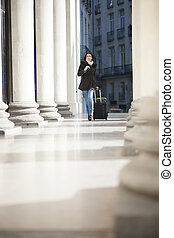 young woman with a suitcase running in the street. 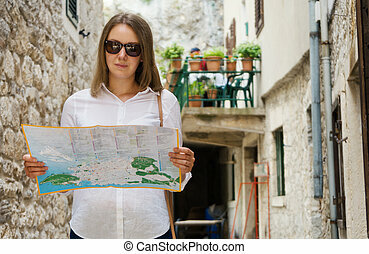 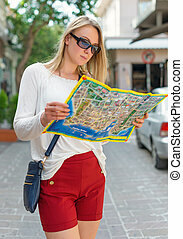 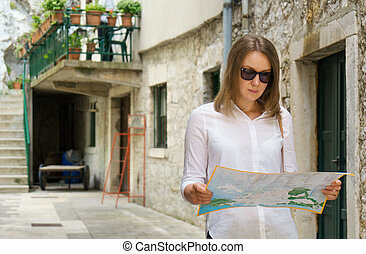 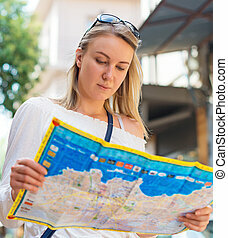 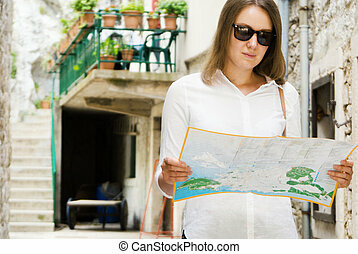 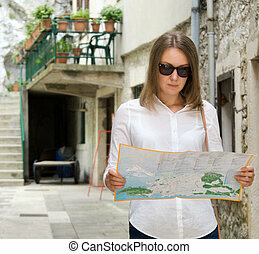 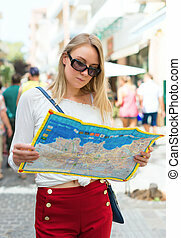 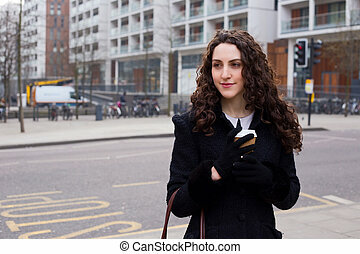 Young blonde woman with a map in the street.